I promise I'm going to update you all on that enormous adventure that I will henceforth refer to as "The Journey to America." 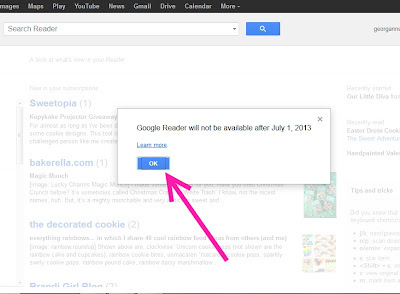 But first, did you hear the Google Reader is going away?! I kind of panicked for at least 35 seconds and may have wandered near some ice cream when I heard that. And then I spent at least 12 more seconds reflecting on the meaning of life and what makes a vanilla ice cream "French" as opposed to just regular type vanilla ice cream. And then I started panicking again. 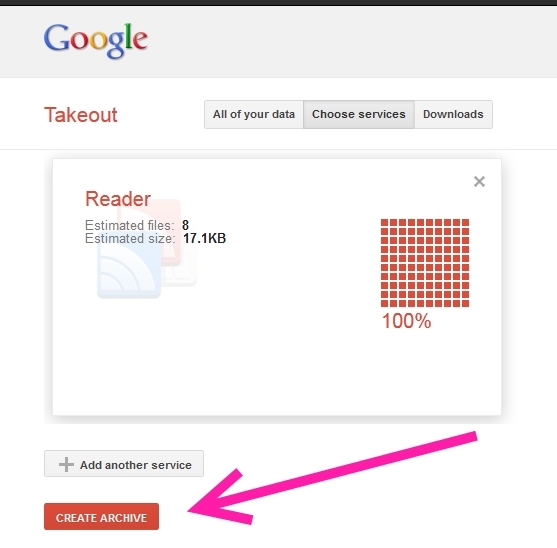 I love Google Reader. It's like a best friend to me. I can hang out with it a couple of times a day for weeks at a time, and then get busy with my life and my time adjusting children and forget all about it for another week or months even and when I come back, it's waiting for me, exactly where we left off. I don't have to apologize or make up excuses. 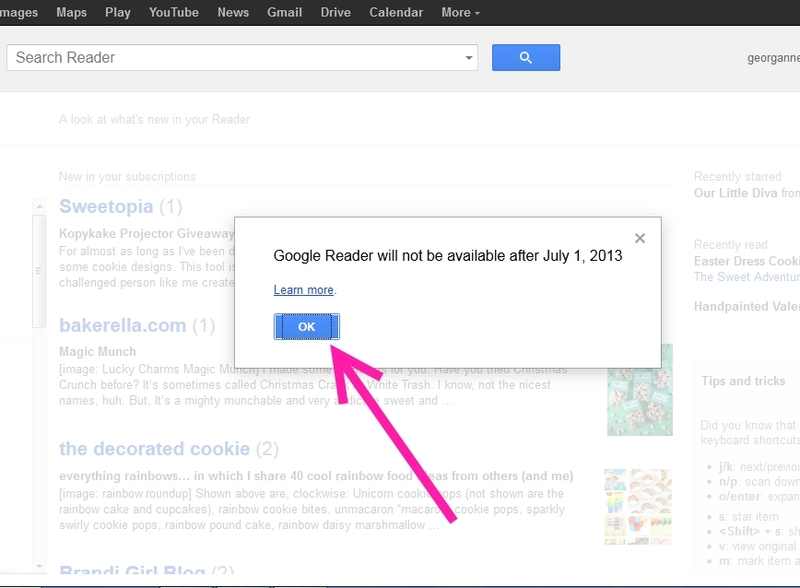 Google Reader loves me just the way I am. I kind of thought we were meant to be. I thought we'd always be together. And now everything is changing. I am happy to report that I've moved on. I've met someone else. Dorothy from Crazy For Crust introduced me to a friend of hers called Blog Lovin. I decided to just go for it. I didn't hold back. Sure, there were some awkward moments while I was trying to figure out who I really am and what I want out of life, but Blog Lovin was patient and didn't try to rush it or make me feel bad about myself as a person. I'm no longer panicking. I'm overjoyed at a fantastic new relationship and I thought that maybe you would like to meet my new friend as well. 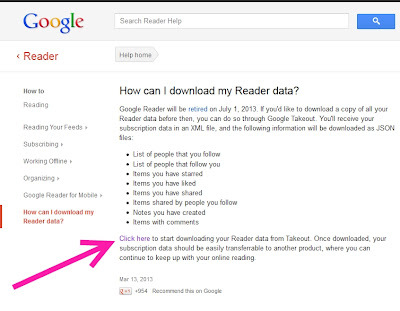 If you use Google Reader... follow these steps to switch over to Blog Lovin in less than 5 minutes. 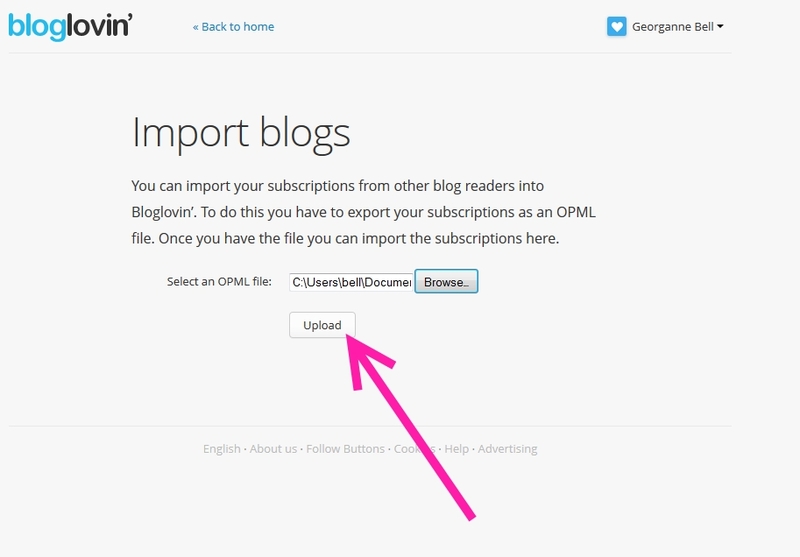 The first step in importing your Google Reader blog list into Blog Lovin is to sign up for a Blog Lovin account HERE. 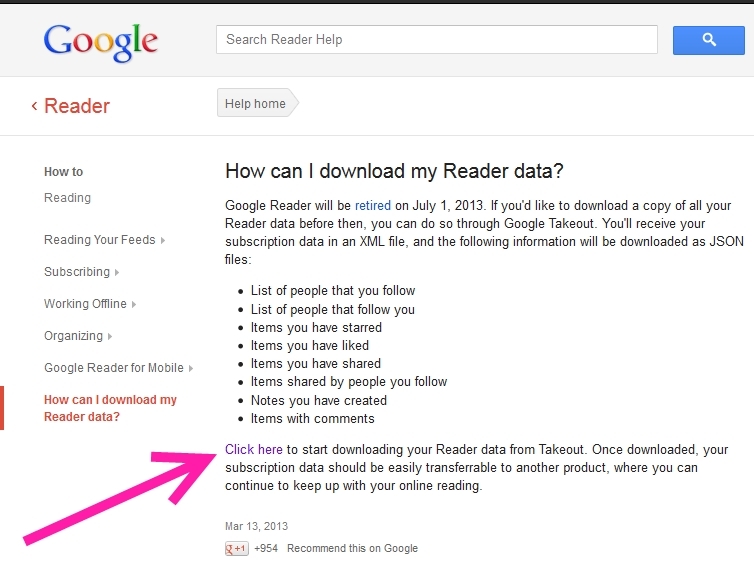 Then log into Google Reader. When you see this message... click on "OK."
Click on the red button at the bottom that says "Create Archive." 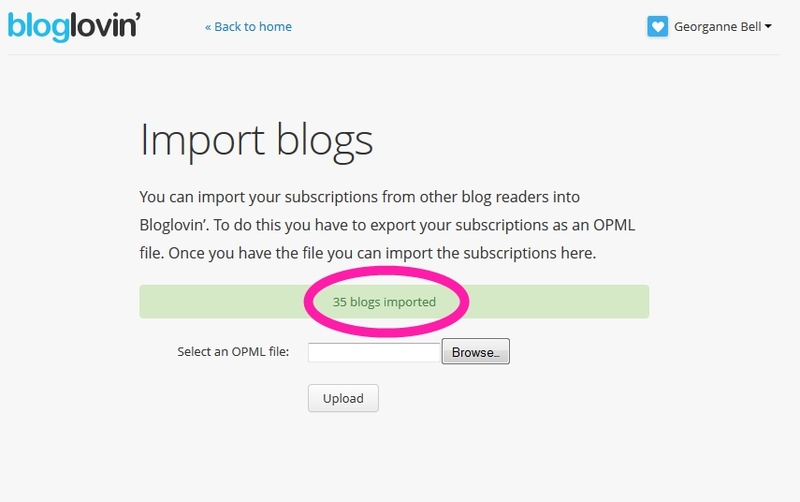 When the process is complete, click on the blue "Download" button. This box should pop up. 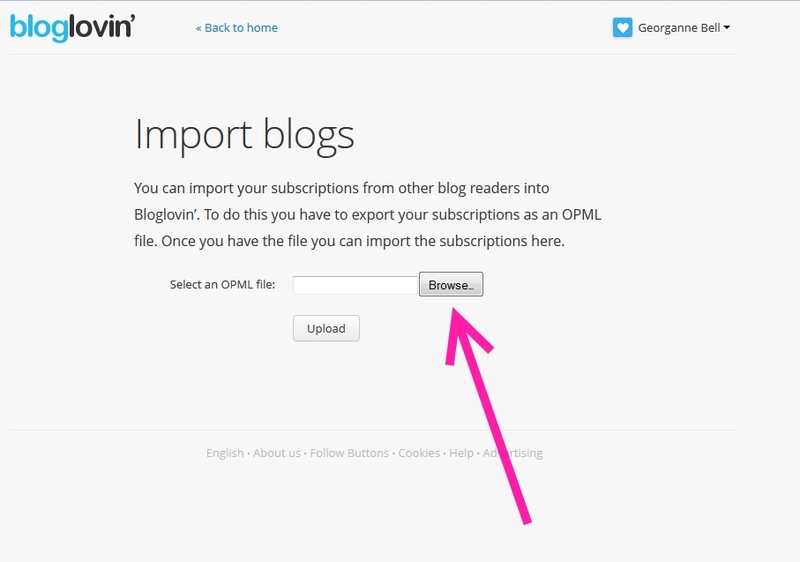 When I did this, I got the log in prompt twice before the box popped up. You might get lucky on your first try. You should probably save it somewhere that you can find it again and then click "OK" at the bottom of the box. 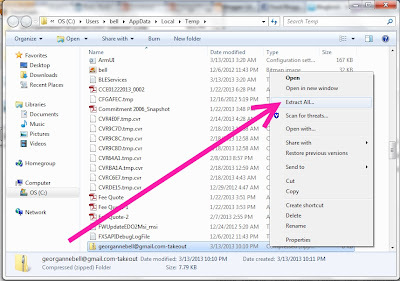 Open the folder that contains the file. 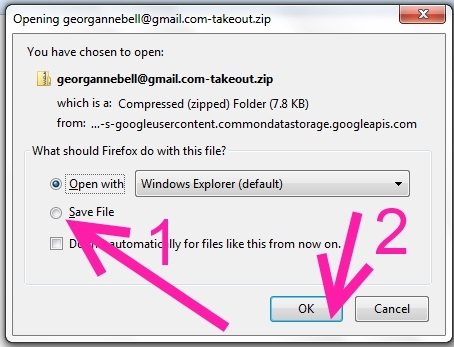 Right click on the file and find "Extract All" in the menu that pops up. 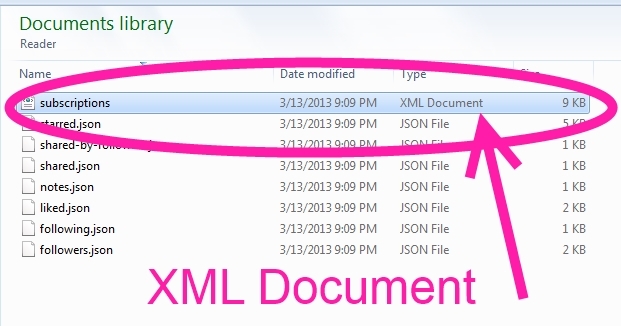 Again, save it somewhere you can find it easily... like your documents folder. 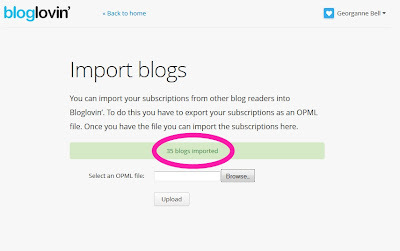 Now go to www.bloglovin.com/import. Click on the "Browse..." button. 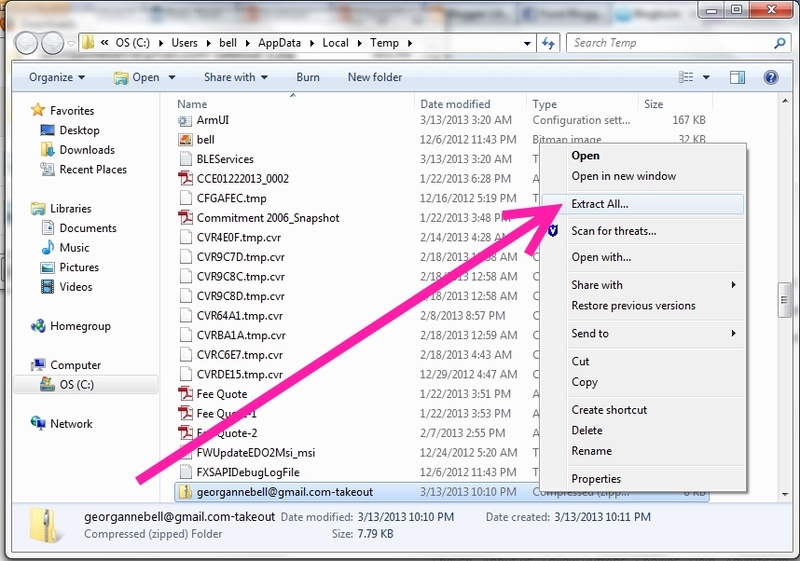 Find the folder you just created. There are a couple of folders inside the folder. Just keep opening them until you see this screen. 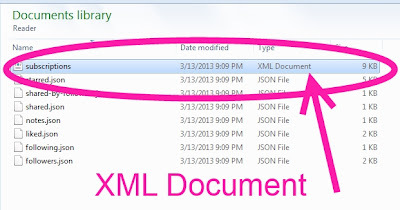 Click on the XML document and then click "Open" down at the bottom of the screen. It will take you back to this screen. 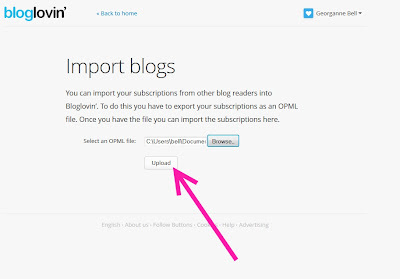 This time click on "Upload." It takes a few minutes for it to load. Don't panic. Find some ice cream if you can't help it... and wait for this screen. Email me if you have any questions! 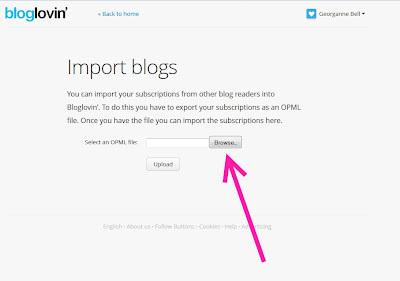 I would hate to lose any of you readers because of this switch!